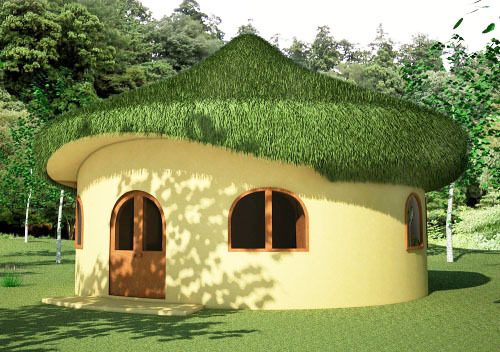 Yes, Owen’s plans are generic to the extent that strawbale and earthbag walls are roughly the same thickness. FYI Still no building code in rural Arkansas. Plus it is very pretty country. Please email me more details such as the names of the counties so I can write a blog post. Warning: pretty much the entire state of Virginia is a code enforcement area. Read about the guy at Polyface Farms and the fun he had just trying to build a small starter home for his son. 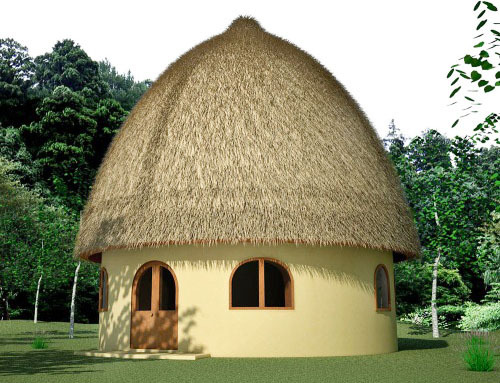 You can get approval for post and beam structure with strawbale or cordwood walls, so if you have a standard concrete foundation and wood frame you might get away with clay and straw slip and calling it insulation. This is one of the reasons why I will be building my family home in West Virginia, where, as long as it’s outside one of the cities, they still believe hey, it’s your land, build whatever you want on it. “…they still believe hey, it’s your land, build whatever you want on it.” Imagine that! 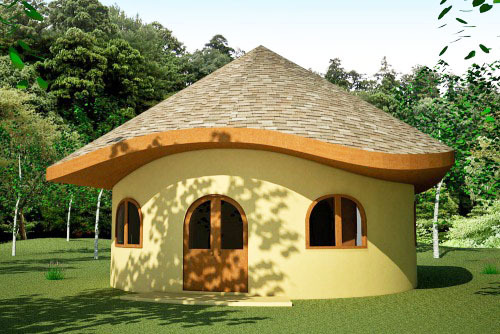 I’m looking to build an earthbag or strawbale “Hobbit House” with lime or clay plaster for siding. My plans would include a regular shingle roof. I live in Cheyenne, WY – would a plan like this be feasible? We are semi-arid, and winters are especially severe due to high winds and extreme low temperatures. My main concern would be high snow drifts, which are very common in the winter and spring. You could use asphalt shingles, although metal roofing is better for numerous reasons. Consider gravel bags on 3-4 courses, then earthbags up to windowsill height, then straw bales for the rest of the wall. This would give you a good combination that has good water resistance and insulation. Consider adding rigid foam insulation on the outside due to the extreme cold. Cover with cement plaster. I don’t know how available scoria or pumice is in Wyoming, but if it is available at a reasonable price, those materials can possibly be better options than the earthbags up to window sill height. It all depends on cost and availability in any particular area. Earthbags with rigid foam, or porous volcanic rock? I suggest calculating the amount of material required for each option and pricing both of them out to see which makes more sense for any particular project. Choose what makes the most sense for Wyoming, … or for that matter… use the same decision process for other cold climate areas and make the best choice for that location. Yes, I didn’t think of scoria when I wrote that last comment. Scoria is wonderful. Search this blog for complete details. Hey… anybody who reads your blog knows you love scoria. For good reason. I was just helping you out by mentioning for you it this time. 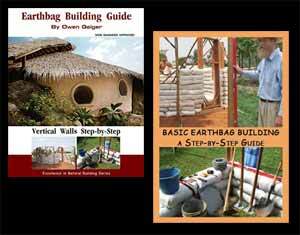 Interested in building an earthbag home this summer. I really like a few of your designs and wondering which house type you would recommend for the climate in Virginia? Guessing around 45″ or annual rainfall; temperatures from single digits in winter to mid 90s in summer peak. Occasional heavy snow fall (10-12″) but on average snows rarely go over a few inches at a time. 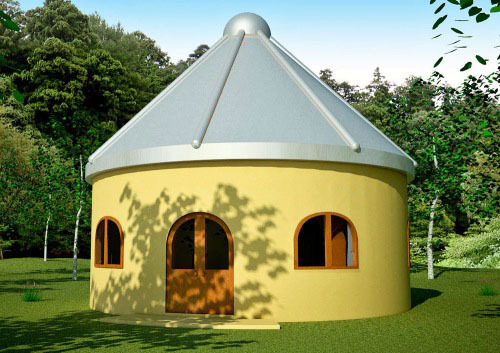 Would your “Peace Dome” survive at all in this climate? Or do I need to think about planning on using plans that include a roof? 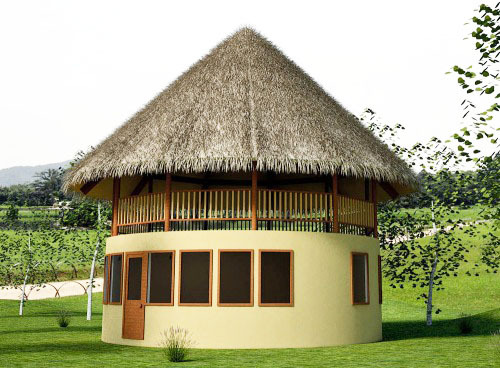 Roundhouses are best. Domes are for deserts. 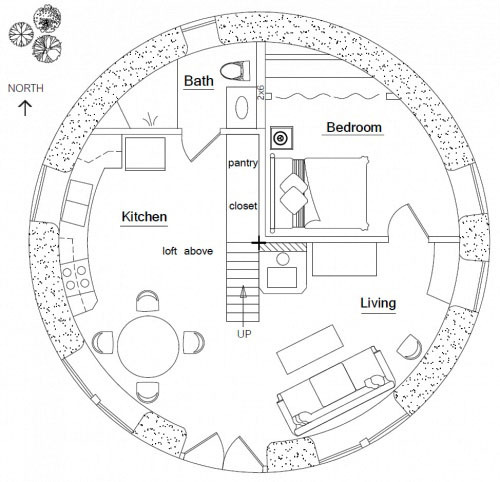 We have lots of info about building earthbag roundhouses. Use the search engine on the right side of the page. Here’s one link.